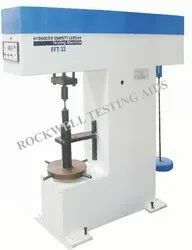 We are supplying a wide range of Impact Testing Machines such as Pendulum Impact Testing Machine, Charpy Impact Testing Machine, Beam Impact Testing Machine, that are used in various industries for testing impacts on various material. These machines are well appreciated by our clients for their low energy consumption and high functionality. Our range of impact testing machines is in conformation with industrial standards and can be customized as per the requirement of our clients. Power (Kw) 3 Phase, 440 V, 50 Hz, A.C.
To conduct fracture toughness test as per ASTM-E-208. adjustable to get the desired energies. Strictly conforms to ASTM-E-2007 specifications. Singal stand design which facilities fast and easy positioning and centering of specimen which is a basic requirement of sub-zero testing. Unique spring loading braking system for smooth and jerk free braking. NIST approval of machine with samples from NIST-USA, can be arranged. Model : AIT-300-ASTM(D) is a digital version of Model: AIT-300-ASTM. Suitable for Charpy & Izod Impact tests on various materials. Model: AIT-300-EN & Conforms to IS, BS Standard as above & also confirm to BS EN:10045-1993 (for Charpy). Work of Pendulum principle, different between height of drop of pendulum before rupture and height of rise after rupture of specimen of Impact energy absorbed. Continuing the efforts of developing New Machines we have developed a new machine, Model: FFT-32 for Mechanical hydrogen Embrittlement Evaluation of plating/coating processes confirming to ASTM-E-519-06. This test method defines acceptance criteria for coating and plating processes that can cause hydrogen Embrittlement in steel. The machine consists of “C” frame with steady load application system at the centre. It is a lever system with manually adjustable loads. A screw and nut arrangement is provided at centre for holding the bottom end of sample and adjusting its vertical heights, the top end of sample and adjusting its vertical heights, the top end of sample is connected to the Loading Lever through a hanger. Dead loads are provided for loading the system in the range of 21kN to 32kN with a least count of 0.1kN.A digital clock is provided for measuring the time with a Least count of 0.1 hrs upto 200 hrs. 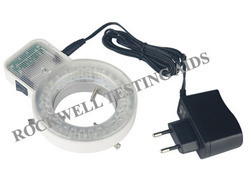 Normally the test consists of plating / coating of sample as per standard and then apply a specific load for 200 hrs. The plating / coating should not crack after thee test. 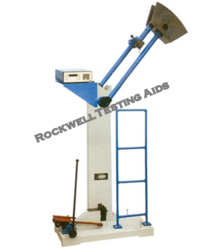 This test is required to be carried out particularly for plating / coating High tensile fasteners. We have 4 orders from M/s. Ankit Fasteners Pvt. Ltd. Bangalore. One machine is already inspected and cleared for dispatch by the customer.